The 6315 Universal Backplate is available as a retrofit for older ENC12/14 enclosures. 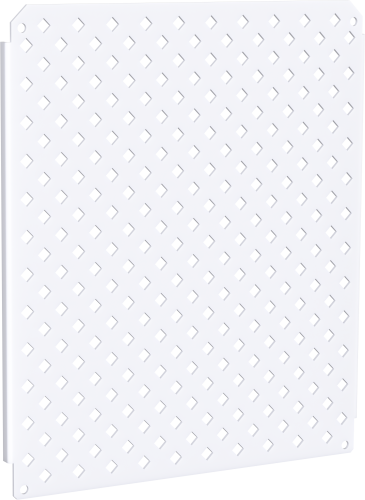 The white powder-coated backplate is completely prepunched with a matrix of half-inch-on-center holes. Size is 12 in. by 14 in.